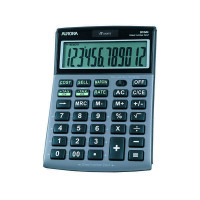 • Large 12 digit angled display and durable metal fascia. • Cost/sell/margin feature ideal for profit and loss calculations. • Tax function ideal for VAT calculations. • Currency converter with programmable rates. • 'Direct number input' - turns on at the touch of any key. • Solar powered with battery backup. 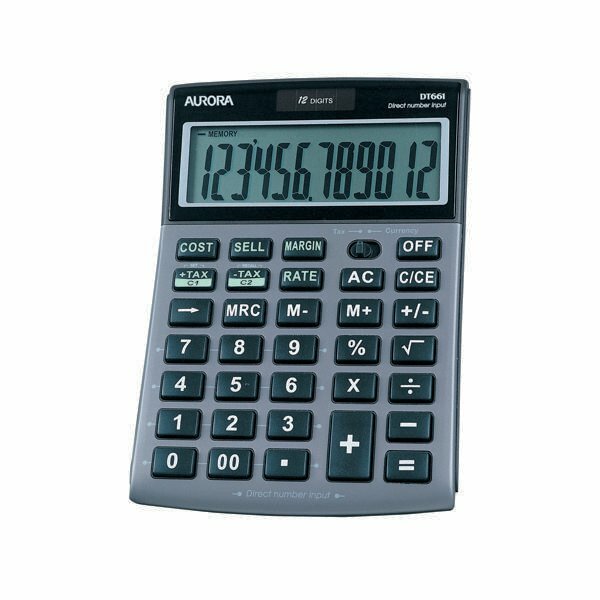 The durable and hardwearing Aurora DT661 12-Digit Desktop Calculator offers efficiency and convenience to allow you to complete your calculations with ease. A large, 12 digit display offers fantastic visibility, while a dual power source using a battery and solar energy ensures reliability and consistency. Additional features include cost, sell and margin buttons, a scroll facility and one touch currency converter to make this device really stand out from the crowd.